Discover the best of Chania in four days with your private local guide! Explore the historical Old town, hike an impressive gorge and be mesmerised by this unique natural paradise, swim at long sandy beaches with emerald waters, stroll through traditional villages and olive groves and taste the unique hospitality and world renowned cuisine! At the heart of the Mediterranean, lies Chania, one of the longest inhabited cities dating back to around 2,700 years BC and the Minoan civilisation. Every step you take leads to a fascinating monument or a reminder of one of the numerous civilisations that passed, as each invader left their mark on history, architecture and culture. Walking around the old town of Chania feels like exploring a lively, open-air museum. But this 4-day private walking tour is not just a historical adventure, but an ecological, cultural, culinary and learning experience! 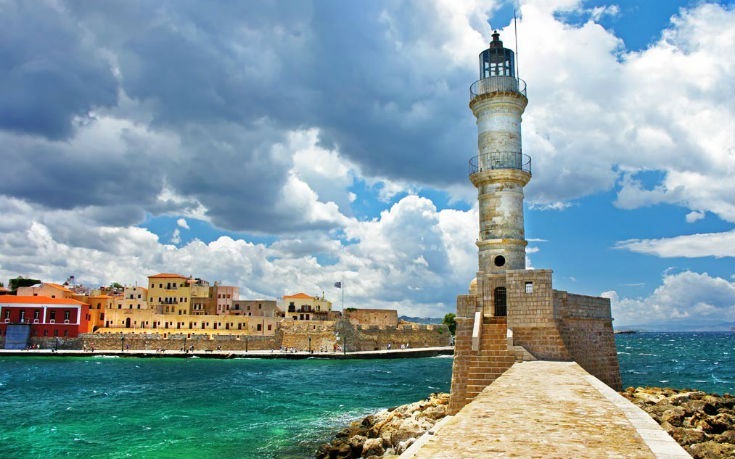 Our guide aims to take you away from the touristic areas and show you the hidden gems of Chania. Instead of walking the famous gorge of Samaria with hundreds (and many times thousands) of hikers, you will walk down our favourite gorge and soak in all the natural wonders and smells of the unique and endemic herbs and flowers of Crete undisturbed. Our guide finally wishes to give you a hands-on experience of typical Cretan daily life and a feel for the “magic” and “spirit” of the island, its people and its amazing culture. You cannot leave without exploring inland, the mountainous villages and agricultural way of life and tasting the local olive oil, wine and local delicacies! When you return home you can say with confidence that you have seen all of Chania off-the-beaten track sites, experienced its unique nature, got to know the local culture and tasted the amazing cuisine everyone is talking about! Learn about the local herbs and plants, birds and other members of the animal kingdom, above and under the water! Here is an example of what you will experience during our private short stay walking holiday around Chania. Day 1: Walk around Chania and experience a lively, open-air museum! Meeting at your hotel at the Old town and orientation. On your first day you will explore the old town of Chania, most of which was built by the Venetians in a bid to recreate a “Venice of the east”! Thousands of years of history and diverse civilizations, from the Minoans, Myceneans and Dorians to Romans, Byzantines, Arabs, Venetians and Ottomans, have blended together forming this beautiful town which today feels like a lively, open-air museum. You’ll walk along the waterfront and the famous picturesque Venetian harbour, through the alleys of the three major neighbourhoods where once Christians, Muslims and Jews used to coexist… you’ll explore the ancient ruins, the Byzantine wall, the Venetian fortifications and buildings and Ottoman mosques and dwellings, myths and legends about invasions, occupations, resistances and independence will come alive and fascinate you. You’ll also be introduced to the local culture and communal life; you’ll visit the Municipal Market for local products, you’ll meet and discuss with local people, you’ll sample local products and drinks. The tour will end with supper at one of our favourite local taverns where you can listen to live traditional music! The wider area of Chania is known for the impressive gorges crossing the White Mountains. Since ancient times the locals used these gorges as shortcuts connecting ancient cities. Later on, they served as refuges in times of war, and today they are important natural reservoirs of the local flora and fauna and part of the European E4 trail network. Agia Irini is a gorge of exceptional beauty but less known and frequented than the gorge of Samaria, allowing the visitors to enjoy the calmness and natural sounds. Starting from the village of Agia Irini we’ll hike 7,5km mainly downhill, through tall, century-old cypresses, pine and kermes oak trees, oleander and chaste tree shrubs, as well as slopes full of sage and other herbs and colourful endemic flowers, especially during spring. Our guide will introduce you to the most common species of flowers and herbs, such as marjoram, savoury, sage and thyme and to the wide variety of birds which inhabit the gorge, such as quails, woodcock, hoopoes, thrushes and swallows, owls, hawks and ravens. Griffon vultures are common passers-by up in the sky. Upon exiting the gorge we’ll continue south to visit the beautiful sandy beach of Sougia where you can enjoy a swim at its crystal-clear waters as well as a well-deserved lunch overlooking the Libyan Sea. Today we will visit the countryside of Chania and the region of Apokoronas, extending from the foothills of the White Mountains north to the coast of the Chania. This is one of the most fertile areas of Chania, due to the abundance of water coming from the mountains, with beautiful villages scattered around which have preserved their cultural traditions until today. Starting from Douliana village you will walk on a 7km “dreamy” trail towards a ravine, in dense vegetation and rare plants. You’ll continue towards the old village of Tsivaras enjoying scenic landscapes of olive groves, vineyards and seasonal crops till you reach the traditional village of Gavalochori, where you will enjoy a drink at the local cafenio. A visit to the local cheese-maker or the Agricultural Cooperative of Women’s shop to learn about traditional customs and practices and admire traditionally made textiles and local products is well worth it. At the Cretan villages you always find the most delicious local dishes prepared with seasonal products… and this how another lovely day walking will end! The above itinerary is subject to changes according to the weather conditions or other special events taking place during the week. The enjoyment of our guests and their safety are always our priorities. Although there is no need for prior experience, a reasonable level of fitness is required. Flexible itineraries are available based on the needs of our guests. We can organise a more challenging or a more relaxed-pace itinerary offering you more time to relax and enjoy the mountains, beaches, villages and nature of Chania district and West Crete. 4, 7 and 10- day itineraries are offered. We look forward to show you the best Chania and West Crete has to offer! This unique Chania short stay walking holiday is a once in a lifetime opportunity to experience the Cretan nature, history and culture, off-the-beaten track… while enjoying the great outdoors to the maximum. We organise our Chania short stay walking holiday between March and November. We will reserve for you a lovely authentic family-run guesthouse at a very picturesque location within the historical Old town of Chania. The owners are very hospitable and helpful and are known to provide the most delicious breakfasts and meals. We’ll send you full details. The combination of natural beauty and culture but also the hospitality of the residents will make this holiday unforgettable for you.